Paul and the DSD Pro Stock team were invited to attend the Bahrain International Circuit festival of Speed, where they put on demonstration runs for the King of Bahrain ! this was the first year of the Bahrain circuit what a great experience a trip of a lifetime. And the DSD Pro Stock team were the 2005 winners of the Best Appearing team. During 2006 Paul competed in both the ACU and UEM Championships, finishing in 3rd place for the ACU championship and 5th in the UEM Championship. Wining the biggest ever field of pro stock bikes in European history at Hockenhiem. 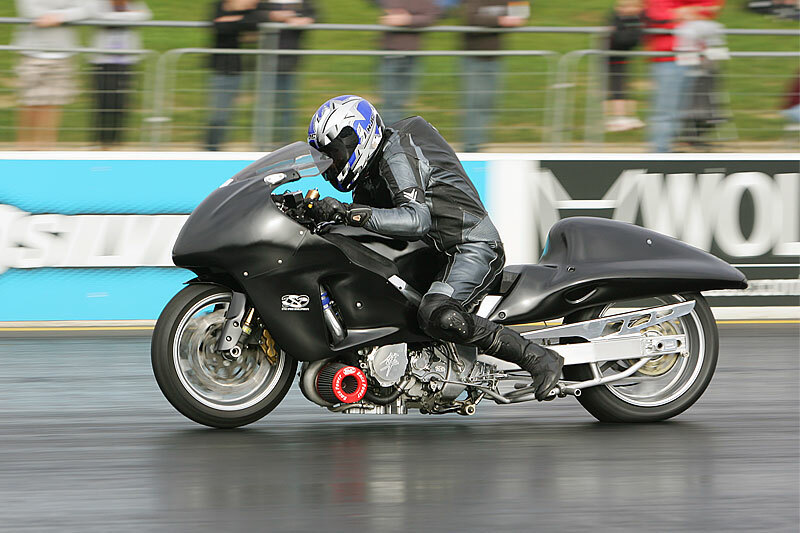 2008 saw Paul build a turbo Busa and won the 1st ever 8.50 bike class race then ran a personal best on a SSB with 8.1 @180mph and a 1.28 60ft. 2010 Paul has been sought by the Veidec Racing pro stock bike team to help with their European tour, This is a 4 bike team with riders from Sweden, Norway, Greece, hopefully with his years of racing and Dyno experience, also with the datalogging skills he has aquired over the last 30 years will be an important Part for the teams challenge to win the championship this year.